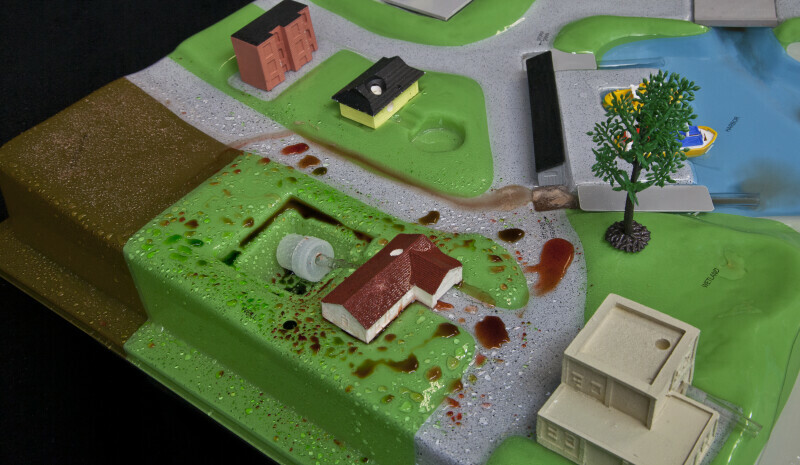 Model showing loose dirt on a construction site and the use of pesticides and fertilizer on a residential lawn after a heavy rain. Loose soil at the construction site as well as pesticides and fertilizer applied to the residential lawn have flowed down the street and directly into the harbor. WARNING: You are about to download a 27.9 MB TIFF!